Your own dock...bring your boat! 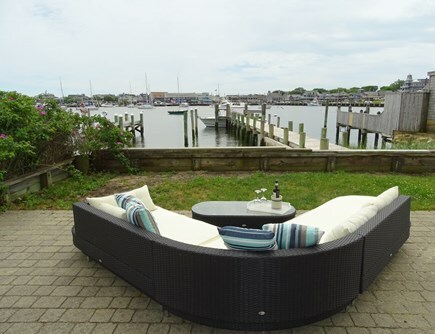 Beautiful waterfront location! 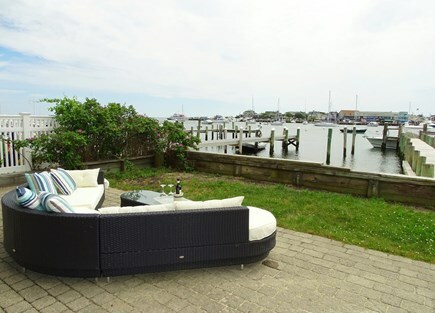 Enjoy panoramic views of Oak Bluffs Harbor in this newly renovated property. 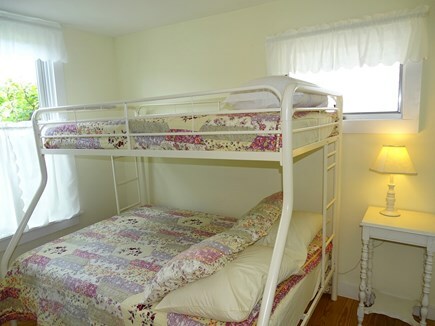 This two bedroom unit is on the main floor of a 3-unit dwelling. There is a deep water dock and off street parking for one car. 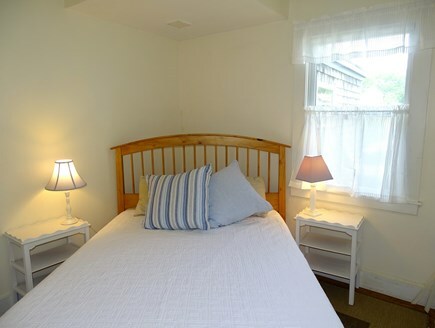 Tastefully furnished with all you need for a relaxing island retreat, including a dishwasher, washer/dryer, cable TV, Internet, and a BBQ grill - and linens are provided. 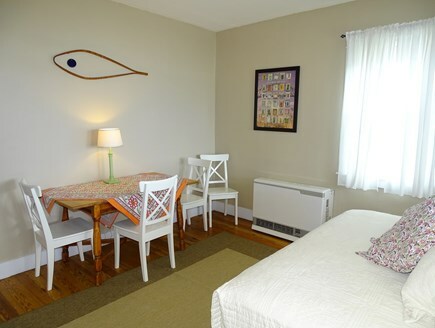 Enjoy quiet privacy while being only a short walk from the public beach, local shops, ferries, restaurants, and attractions in beautiful downtown Oak Bluffs! I cannot rave about this house enough. 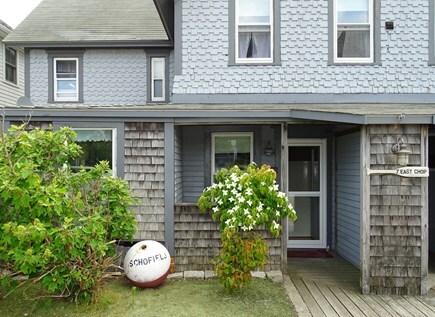 The location is second to none – right on the water in Oak Bluffs. 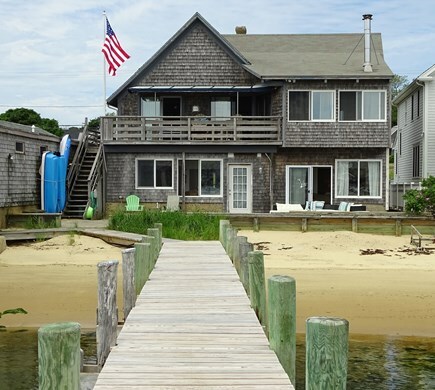 This is one of the only houses with a private beach and dock in the OB Marina. Although nestled right in all the 4th of July action of the marina, the spot remained quiet and relaxing. 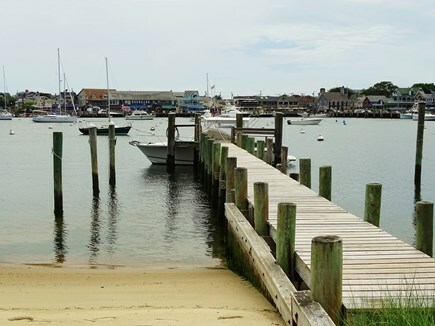 If you want a livelier atmosphere, downtown Oak Bluffs (shopping, restaurants & bars) is within viewing distance and about a 5 minute walk. The beach is also a short walk away. 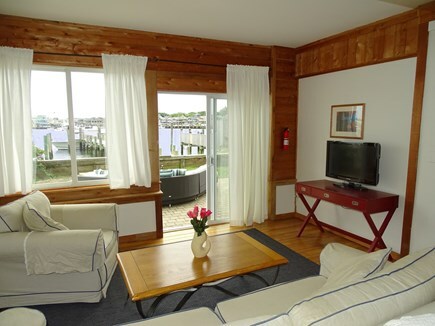 My 5 friends and I rented the 2 bedroom first-floor unit as well as dock space for our boat. The 6 of us fit very comfortably in the house. Although this was a multi-unit house, I barely even noticed the other renters upstairs! Our market grocery and liquor store is right next door. This was super convenient for popping over and grabbing ice, beer, snacks, etc. There was also a Farmer’s Market in the field across the street on Sunday morning (such a cool surprise!). There are a ton of nearby restaurants, but we chose to make most of our meals at the house. The kitchen was stocked with all the tools we needed to cook and serve. The patio had a great outdoor sectional and small table where we chose to eat, enjoying the nice breeze off the water. 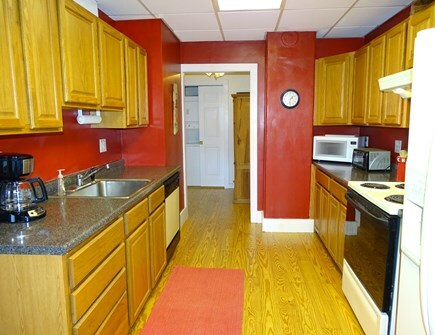 This house was one of the cleanest houses I have ever rented. The owner was delightful and very easy to work with. 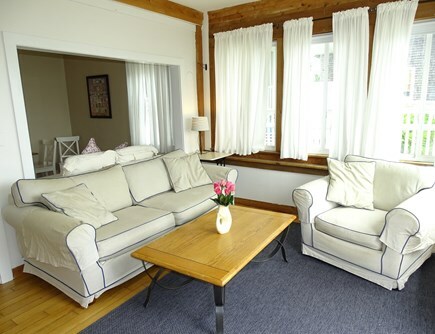 We have already recommended this rental to our friends and family. We will undoubtedly return for another stay next summer. Thanks, Rachel, we look forward to your next visit. Had the time of our lives! 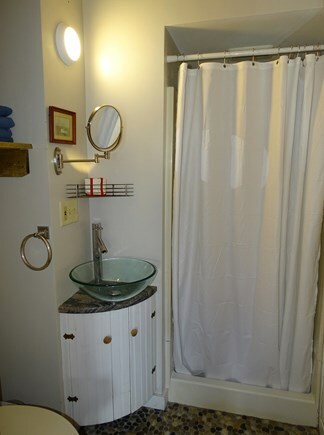 My friend and I rented this wonderful 2-bedroom unit several years ago and we had a ball! Great area to walk to everything or just to walk. Had breakfasts and cocktail hours on the patio, loved to people-watch and boat watch. Absolutely perfect apartment in a perfect location. 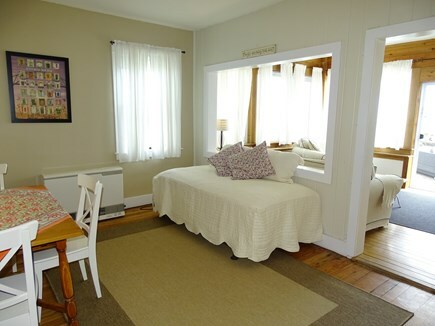 This was one of the very best vacation rentals and vacations I've ever had! Hi, Lee, thanks for the great review. We’d love to have you back.